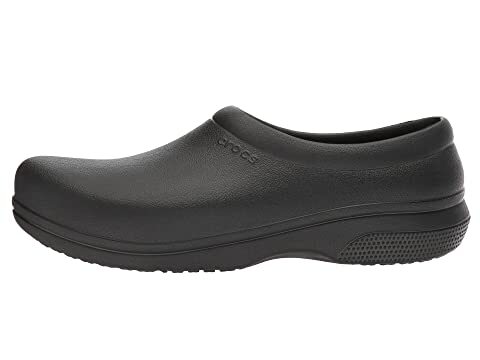 Rise and grind with the On The Clock Work Slip-On from Crocs®! Calling all baristas, restaurant servers, and healthcare and service industry workers of every stripe. 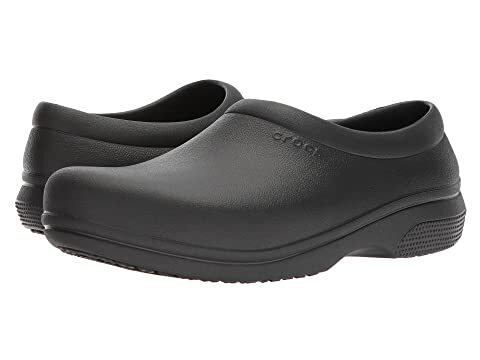 Enclosed toe and heel meet workplace standards. 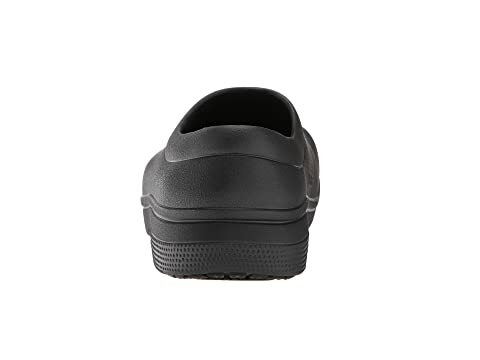 The fit is relaxed, with tapered fit in the back of the heel for a secured fit. Enhanced arch support for additional comfort. 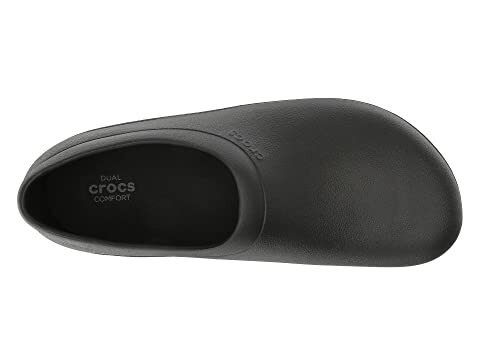 Dual Crocs Comfort™: contoured molded drop-in footbeds with moisture-wicking liners. ASTM F2913-11 tested, CE Certified. Meets or exceeds EN ISO 20347:2012, OB, SRC. 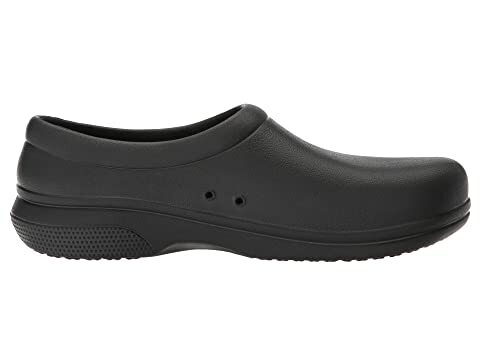 TR (EVA) outsole for all-day wear.